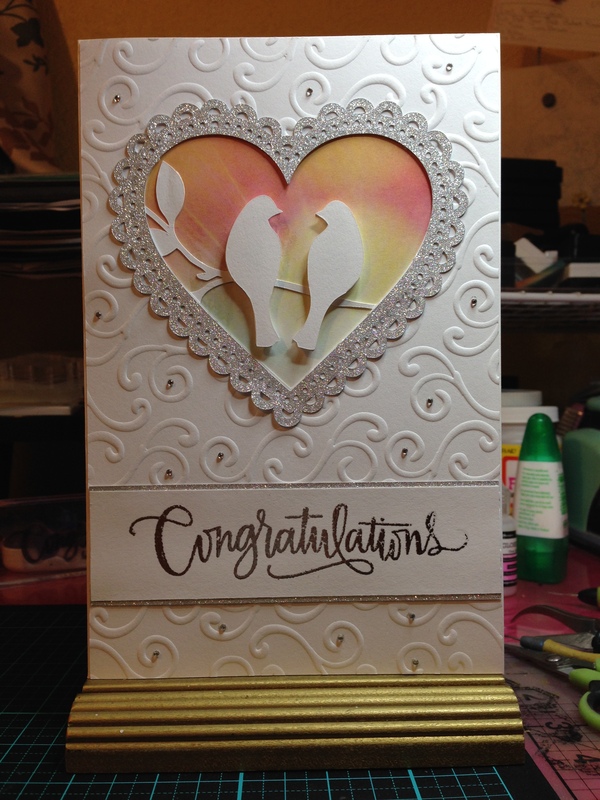 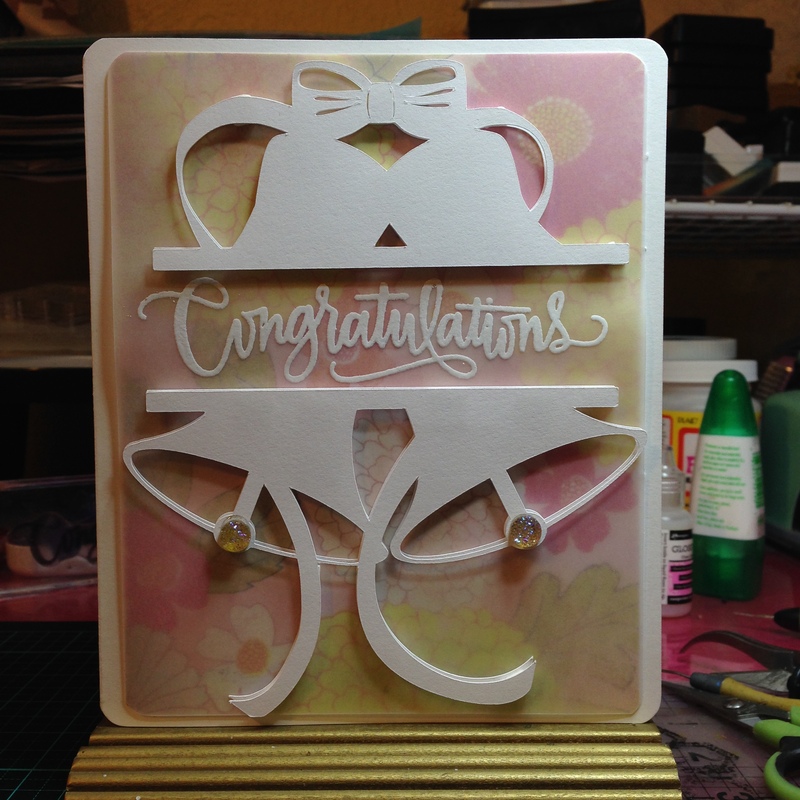 Today I am sharing four wedding cards I made. 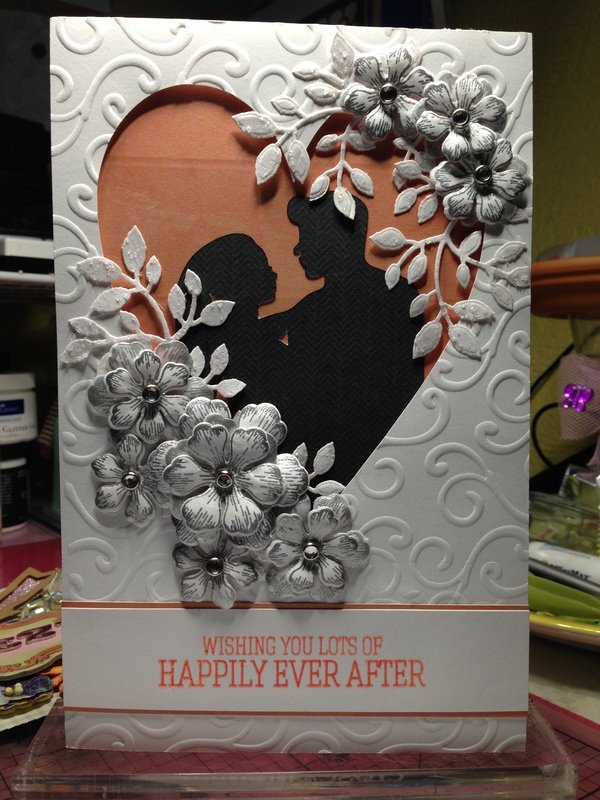 Weddings are happening this time of year and I was more than happy to make these cards for some friends. 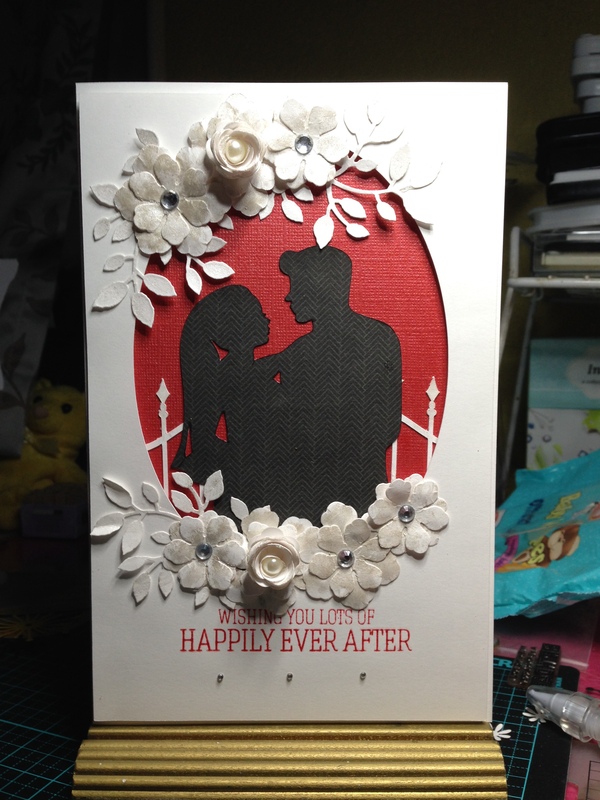 I used my Silhouette Cameo, as well as The Slice, the Big Shot and stamps and various embleishments.